Yes, it's true, the hands of time and space can be bent to reveal your past life times and I am able to do this through deep meditation as well as the visions I get along with a very old tarot deck specifically used for past life time readings. You may want a past life reading because you feel an attachment to a certain person or perhaps you have a fear you do not understand. Some people just are interested to see what comes up. I can do this for you by email request ONLY! 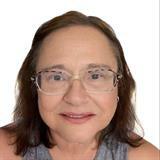 I have over 30 years experience doing all types of past life time readings from finding lost loves, soul mates, to helping the client deal with fears and emotional problems. Past Lives done In Email ONLY! Cannot be done in live chat.